The Blackstone Valley Boys & Girls Club is located on the banks of the Blackstone River in Blackstone, Massachusetts, on the border of Rhode Island. The park has 11 acres of land equipped with a 12,000-square-foot gymnasium, newly renovated outdoor swimming pool complete with water features, rock climbing wall, and water slide, which will be installed in May 2017. Our members also enjoy a playground, outdoor multi-use sports complex, wall ball area, outdoor basketball courts, batting cage, baseball field, soccer field, and an 1811 granite Stone House recreation center, all in a charming setting along the Blackstone River. Today, we have more than 1,200 members who utilize the club for year-round activities. Our summer program, after-school programs, and athletic programs all incorporate the Boys & Girls Clubs of America's strategy of promoting learning and cultural enrichment through a variety of activities. Our programs for children have truly become the "Positive Place for Kids". The Club offers activities such as ice skating, basketball, soccer, and street hockey. Our school age, drop-in, and vacation programs provide our members with a place to belong when they are not in school. In our recreational summer program, members can participate in swimming, fishing, activities, and tournaments. Members have the opportunity to socialize and form new friendships with other members in the surrounding communities. In 1804, the Blackstone Manufacturing Company (BMC) purchased 254 acres of land in the South Parish of Mendon. This land was eventually incorporated as part of the town of Blackstone. During the 1800s, the BMC operated as a textile mill. In the late 1950s, Earl Tupper purchased the 254 acres of land from the BMC. Mr. Tupper used the land primarily to manufacture and store his newly invented Tupperware plastic products. Eventually, Mr. Tupper built a 12-acre park to be utilized by Tupperware employees and their families. Tupperware Company was sold in the late 1980s to the Blackstone Smithfield Corporation. After the transfer of ownership, the park was not used from 1988 through 1995. 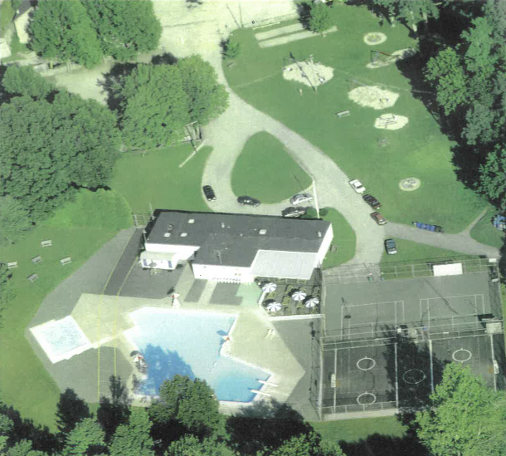 In response to a critical shortage in local after-school and youth services, a group of concerned Blackstone Valley residents formed the nonprofit Blackstone Valley Boys & Girls Club (BVBGC) and leased the 12-acre park from the new owners in 1995. With the help of volunteers and a very limited budget, the concerned local residents successfully ran a summer program for 400 children. 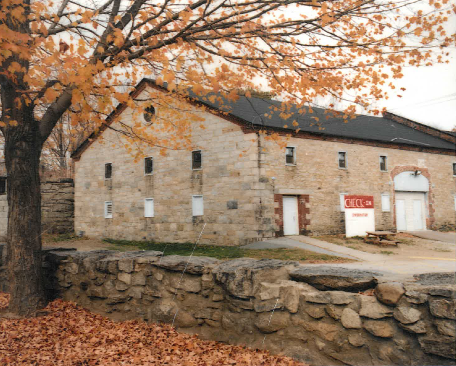 In 1996 David King, Executive Director of the Champlin Foundation, visited the 12-acre park and subsequently approved a Champlin Foundation disbursement of funds to purchase the site from the Blackstone Smithfield Corporation.